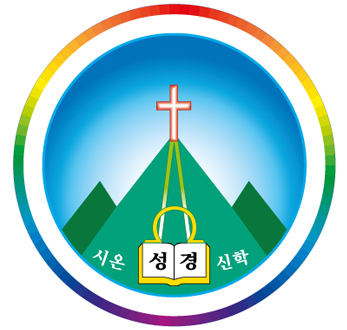 The round ring of the emblem signifies heaven and earth (the universe and earth), and the 7 colors of the rainbow represent the new promise of Mt. Zion, which Jesus proclaimed (Rev 14:1-3, Is 2:2-3). Inside the ring, among the small mountains, there stands a tall mountain which is described as Mount Zion in Rev 14 and the hill of the Lord’s temple which will be established as chief among the mountains and will be raised above the hills and all nations will stream to it in the last days, as indicated in Is 2. Many people will come and say, “Come, let us go up to the mountain of the Lord, to the house of the Lord, to the house of the God of Jacob. He will teach us his ways, so that we may walk in his paths.” The law and the word of the Lord from Jerusalem (New Song) will go out from Zion. 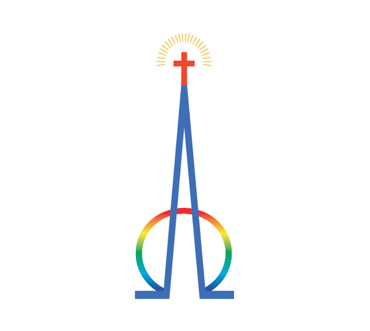 The reason why the Zion Mark was able to be obtained and patent is because, The Zion Christian Mission Center of today is the fulfillment of the Zion Mountain prophecied in Rev 14. (Registration No. 0000731).